Drive like the mountain is out! There’s no better place to explore classic cars than on a classic Main Street. 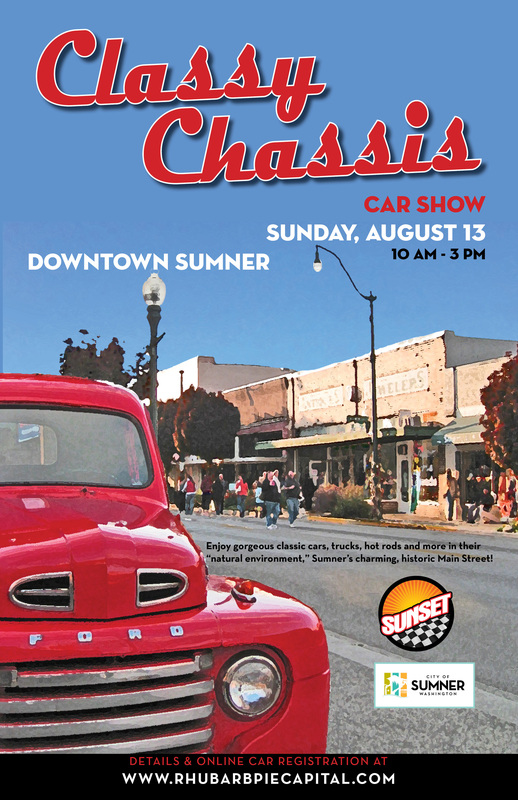 Vintage vehicles, tricked-out trucks and beautiful hot rods of all kinds fill Downtown Sumner. Bring the whole family and enjoy Sumner’s charming cafes, restaurants and shops along with, of course, cars. Want to be a sponsor? Sponsorships are still available for this event. Contact Lana Hoover at the City of Sumner for sponsorship information.